Market Equations India offers Equity Research and Analysis Outsourcing services to cover qualitative research on companies and sectors, initiation and coverage reports, quantitative financial analysis, modeling, valuation and forecasts and ongoing research maintenance including updating research reports, models, valuations and forecasts. Our Equity Research and Analysis outsourcing services help buy side and sell side firms expand their research coverage and add value to their ongoing research maintenance work by freeing up analysts time in-house that can be spent on evaluating, screening and tracking new investment opportunities across new sectors and geographies with a focus on generating new ideas and revenue enhancing activities. Market Equations India helped a Investment Advisory Firm in Australia with initiation and coverage reporting, Balance Sheet Analysis including P&L Statement, Income Statement, DCF, NPV and Key Ratio analysis, Quantitative Financial models and forecasts, valuation drivers and project to project breakdown valuation. Our cost effective - high quality Equity Research Reports and Analysis Outsourcing services equip and empower both buy side and sell side firms across multiple asset classes, client segments, sectors and geographies. Our principals are senior executives from Fortune 500 and several prominent Consulting firms that complement our knowledge teams comprising of PhD's, Business and Financial Analysts with a MBA in Finance, Chartered Accountants, CFA's, CPA's and Data Scientists providing customers a comprehensive, flexible and winning solution that works all the time. Our Analysts have extensive experience in using applied mathematics and statistics and are proficient in using statistical software such as R, SAS, S Plus, Matlab, WinCross, AMOS, LISREL and MS Excel. We offer evaluation models for Discounted Cash Flow (DCF), dividend discount, residual income, Economic Value Added (EVA), comparable analyses, sell-side research validation with an advantage of individualized investor options. We forecast the revenues of the company and scale them back to Net Present value with the help of the discount factor (WACC), which is determined by the CAPM theory. This research helps in uncovering the enterprise value and fair market value of the equity to conclude if the stock is fairly valued or overvalued. The capital structure of a company is a vital area of study. Market Equations conducts a thorough analysis of the company's cost of capital after researching and accounting for each component of the capital structure. This ensures a sound financial ground for the company. The Capital Asset Pricing Model (CAPM) is used to assess the cost of equity. Such forecasts are conducted keeping in mind the clients growth plans. These are usually performed using WACC or DCF method. Through sensitivity analysis we test the CROSS sensitivity of key figures such as EBITDA, EPS, cash flow and share price to ensure that they can cope up with the changes that might occur. 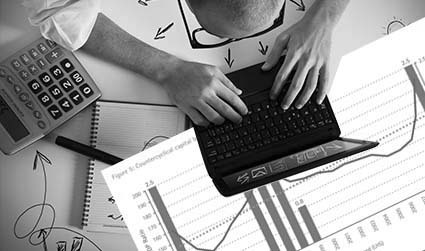 A comprehensive qualitative analysis of the company's business, its industry segment, operations, products and services, management, quantitative analysis such as financial models, segment analysis, multiple valuation approaches like relative valuation, DCF and sum of parts valuations are conducted in this segment. This exhaustive study gives a clear understanding of the architecture of the company's financial model. It also helps to understand the prospects of a company in regard to the current scenarios and expected developments that can take place internally and externally in a company. We help compare the company financials and variables from EV to EBIDTA with that of its peer firms, in order to take necessary steps for company's growth. We build strategies for clients that help them get a clear picture of the competitors and potential competitors' strength and weakness. We provide both offensive and defensive strategies by indentifying the threats and weakness. In this we help our clients understand the industry and the key success factors. These strategies are developed for the client to get a crystal view of the segment which he/ she is operating in or which he/she would like to explore. In Initial Public Offering, the analysis performed helps to comprehend how a company is subscribed by its investors. This is basically conducted to be aware of the market sentiments towards the company. Market Equations India offers Equity Research Reports and Analysis Outsourcing services to cover qualitative research on companies and sectors, initiation and coverage reports, quantitative financial analysis, modeling, valuation and forecasts and ongoing research maintenance including updating research reports, models, valuations and forecasts. Our Equity Research Reports and Analysis outsourcing services include initiation and coverage reports, company and sector research, financial analysis and modeling and ongoing research maintenance.